Greetings one and all to another edition of Fundays at 420! For all of us comic book fans, most are aware that San Diego Comicon 2014 is HISTORY! It wrapped up last week and won't be back till July 9th, 2015. Although it still seems like forever until then, we still have A LOT to look forward to - namely all the movies, television, games, and of course, comics leading up to it next summer. Let's face it - not everyone gets a chance to attend and for those of us who weren't able to make it the gang here at Pittsburgh Underground felt compelled to take a look at some of the best. Because there is SO much to see we thought it best to start in the realm of television with the best panels and previews that came from 2014 San Diego Comicon International. 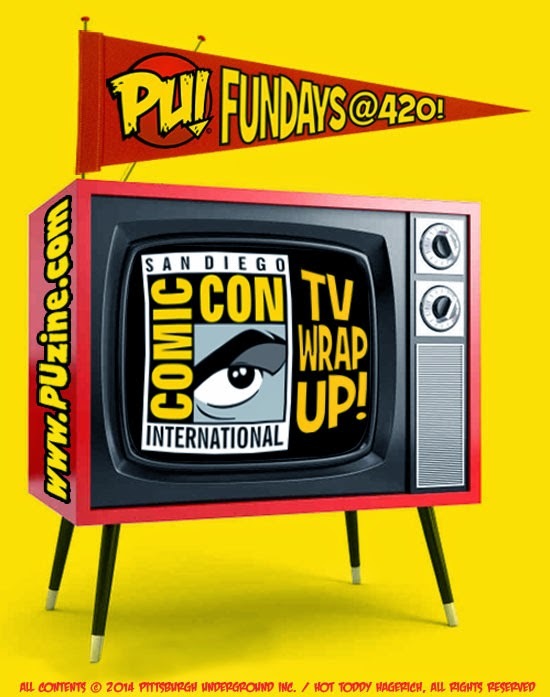 So sit back, relax, and smoke em' if you got em' for our PU Fundays at 420 San Diego Comicon 2014 Television Wrap-Up! HAVE A GREAT FUNDAY EVERYBODY!